One day in the fall of 1985 I was pumping a colleague for answers to questions about my teaching. She stopped me and said, in essence, “Marné, you are the one who has to make sense of what is going on in your classroom. Write what you see happening.” Some suggestions she gave were: “Be as specific and precise as you can. Look back at those observations and reflect on what you are learning. Think about what the events mean for instruction” (Marjorie Siegel, personal communication, September 21, 1985). I took her advice and thus began my odyssey as a kid watcher. For five years I kept teaching journals. During the last two years I did not keep a journal because journal writing was time consuming. Instead I experimented with alternative ways to record kid-watching. I have not been as pleased with the results. Though I found ways to record observations, mainly on seating charts, the reflection part of the journal process had no counterpart. I missed the journal keeping very much and began to ponder the effects of writing upon my teaching practice. Of course it is okay! I see that I was wondering about breaking “the rules” for SSR that the reading time be individual, uninterrupted, and sustained. But I was also seeing the support of community and the natural bent to share something interesting. I certainly should not discourage such interaction. On the other hand to verbally “encourage” it might kill it also. An overzealous, over-enthused teacher is not what these kids need. They need to see the sharing as their discovery not as “doing what the teacher wants.” Just let it happen naturally. My reflections: PN Personal Notes are those notes which explained the situation as I remembered it, providing more background to it, or giving my feelings and reactions to the events then or now. My reflections: TN Theoretical Notes attempt to explain why I did what I did, guess the reasons behind my actions and those of my students, try to provide theoretical perspective on the incidents, and otherwise reflect on the meaning of those happenings. My reflections: MN Methodological Notes are where I talked to myself about what I was doing, the inquiry process I was going through, and the resulting products. Methodological Notes became part of my “audit trail” which serves as a record for review by others in establishing the quality of this study. How did I go about making fieldnotes? I started to copy an entry from my handwritten journal onto the word processor. When something occurred to me that I wanted to say about that part of the entry, I summarized that part (PP), and wrote my thoughts about it, labeling these reflections as mentioned above either as PN, TN, or MN. I continued copying from the journal and trying to react fully to what I had seen in the entry. Some of these reflective notes were very short while others were a page or more; the personal notes and theoretical notes sometimes became quite long as I grappled with the meaning I was making of the journal entry. AE – (89F2-p3d-8/22) Carolyn came early to class to tell me she had already finished her first book. “I read 90 minutes last night.” She told me about questions she had as she read: “Why did it have that title Three Mile House?” She told about how she figured out the answer. “The author told where four miles was on his jogging route and later that the house was about a mile closer than that.” In other words, she had made an inference. She also told about sticking with the book until it was finished. PN – She had read a high interest, low vocabulary, short book of 60 pages by Bestseller, a publisher of books for struggling adolescent readers. TN – She wanted to celebrate this accomplishment. She was not only pleased with having read an entire book in one evening but especially in being aware of how she figured things out. Other seniors and other peers may have thought this no big deal, but it obviously was for her and she “needed” to share it. It is important that teachers support these little celebrations. She is coming to value herself as an active, thinking reader. I wonder if she came to the class determined to make sense and to progress, after all this might be her last chance for instruction because she was a senior or was there something about the first day’s activities and climate that made her decide to jump in with both feet and take on the challenge of reading. Another remarkable thing about this event is that she did it on the second day of class! Had I so soon built a trusting relationship or was she trying to brown nose me? Either way I think this was a remarkable risk on her part. Note. AE = Actual Entry is italicized. (89F2-p3d-8/22) = identifying information (year, semester and class period—page and which quarter of the page—date) e.g., 1989, Fall semester, 2nd period, page 3d on the 4th quarter of that page (a,b,c,d designate the quarter of the page where targeted information is found), August 22nd. PP = Paraphrase. PN = Personal Notes. TN = Theoretical Notes. Domain analysis (Spradley, 1980) was the first analysis I did. This procedure involves looking for items in the fieldnotes which fit within a particular semantic relationship. I started with Spradley’s relationship of “Strict Inclusion” (p. 93), i.e., something that is a kind of something else (X is a kind of Y). I noticed in the first entry in 1985 how vague the descriptions of the events were. So my first domain became “X is a kind of vague description.” I listed about six included terms (the X’s), such as “good discussion,” “smooth day,” and “they.” I again looked at Spradley’s list of relationships and realized that the included terms were more “examples” than “kinds of” vague descriptions, so I changed the heading for the semantic relationship to Examples (X is an example of Y). I had Spradley’s list of semantic relationships in front of me as I read through the fieldnotes. From five of those relationships fifteen domains surfaced for me. See Table II below. 2X is an attribute of my theory of teaching reading made manifest. 3X is a kind of participant written about in the journal. 4X is a way to collaborate. Some of the domains no longer interested me, so I stopped looking for their included terms, i.e., X is an example of a vague description. I went back to the original journal entries to do focused observations looking for more included terms for these four domains. I rephrased some included terms into more general statements. For example, instead of “Matt dissented but when he found out he could work on his own, he decided to join the forces” I put the following into the domain of my-role-as-teacher-of-reading: “let students vote but don’t force consensus; let dissenters go their own way.” I also put this same Matt-event into the domain of student-acts-which-captured-my-interest: “Students who don’t want to accept the class-voted decision.” I was surprised how many more included terms I found by the time I had completed the second domain analysis. I placehold my fears at a conscious level, in writing, so I can force myself to deal with them vs. I justify something I did and then am done with it (I know what I did and why, fine; tuck it away and move on). The first is a demand for action where the latter is more of a validation to myself. I labeled these dimensions of contrasts as Placehold for Reflection and End Thoughts. Whereas the first is written to cause change (“Deal with this fear, Marne’!”), the second is written so I can remember the situation in order to repeat the process if a similar circumstance should arise (“This is what you did, and this is why you did it. Learn from this experience and let it impact future practice subconsciously.”) I labeled these dimensions of contrast as Understand to Cause Change and Understand so It Can Be Repeated. The fears are forward-looking because I must deal with them now, tomorrow, or soon; the justification is primarily backward-looking because I am reflecting on events in the past and pondering why I did what I did. I labeled these contrasts forward-looking and backward-looking. Step 2: I set up a matrix to see what would be revealed about each term on the taxonomy if I thought about it with each contrast dimension. The six dimensions of contrast were placed across the top of the matrix. Down the left side of the matrix I listed the terms of the taxonomy. See Table IV. I proceeded systematically through the taxonomy, deciding how each term fit with the dimensions of contrast. For example, I looked at 1.2.1 “Focus on the anomalies” and asked: Is this more placehold for reflection or end thoughts?, more understand to cause change or understand so can be repeated?, and more forward-looking or backward-looking? I put the answers on the matrix. Marné has been involved in literacy education since 1969. She earned a BA in English, an MSED in Educational Research, and a Ph.D. in Literacy Education. Her dissertation was awarded the Outstanding Dissertation of the Year 1997 by the International Reading Association. She has taught reading at all levels: Elementary, secondary, community college, university, and professional development. She was named Reading Teacher of the Year three times. She has conducted research on college reading since 2006, developed two academic reading courses, wrote handbooks, helped produce videos and PPT demonstrations of the strategies, and developed a tutoring program for college-bound high school students. 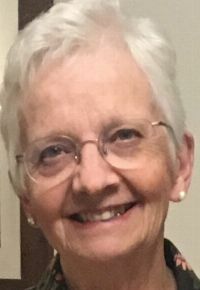 After retirement she and her husband started Isakson Literacy, LLC, which offers an online course in academic reading and promotes effective academic reading practices in colleges. She has four children, ten grandchildren, a dog Alfie, and enjoys hiking, swimming, doing family history, and reading, of course.